HUGE Wrestling win for the Flyers over Natick Red Hawks tonight! HUGE wrestling win for the Flyers over rival Natick tonight. 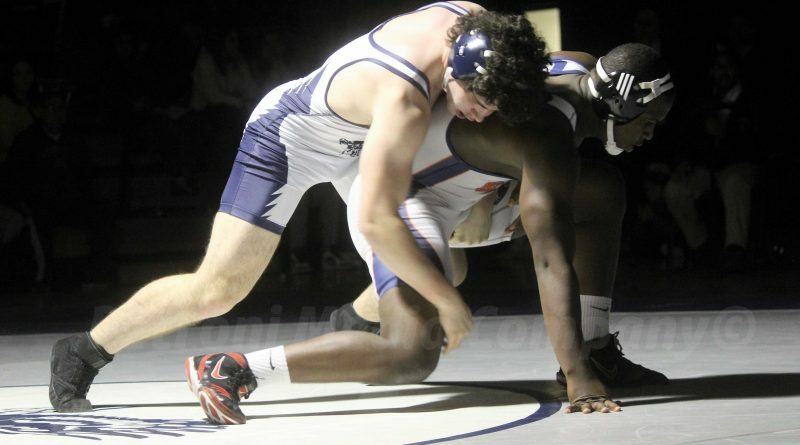 Senior Seth Martin, wrestling up a weight class, won in overtime, to give the Flyers the win. – Report and photos to post Thursday. — Susan. FRAMINGHAM – Framingham senior Seth Martin, wrestling at a weight class higher than normal, won in triple overtime to secure the Framingham wrestling team’s victory over Natick tonight. SOURCE will have a full report on the “senior night” meet, along with a slideshow on Thursday.